Review: Since it was first released last year, demand has been high for a repress of CultureClash's eponymous debut LP, which started life as a recording for Kiss FM show way back in 1992. Happily, Lost Futures has responded to demand with this speedy reissue. 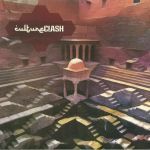 For the uninitiated, the album - the work of a trio of experimentally-minded techno producers - gleefully joins the dots between Arabic music, tribal rhythms and turn-of-the-'90s techno, IDM, exotic ambient (see closing cut "Yatiyana") and post-bleep UK house (see the sub-heavy trip that is LP highlight "Mystic (House Dub)"). Given the period in which it was recorded, the set has aged incredibly well. Exotic, intoxicating and otherworldly, "CultureClash" still sounds like the future.